Free Dining is Back for Fall! 2013 Packages are on the way! ***3/7/13 NOTE**** This blog post was from last fall. Disney announcd free dining for fall at the same time they announced that they were releasing 2013 vacation packages. Google has unhelpfully combined the two separate headlines. As of this writing, no dates for free dining has been released for 2013. If you would to to be added to our free dining watch please email ginger@tmctravel or better yet start planning your vacation. I hope that we will hear about free dining in September in March or April. We will likely not hear anything about free dining in October-December until mid to late July. That said, I really do recommend that you go ahead and get the ball rolling in terms of planning. Because that time frame is typically a "free dining" period there is a run on dining reservations as soon as the announcement is made. (IF an announcement is made! :)) I like to have my families already booked and ready with their dining reservations made. That way the morning any discount is announced I am able to just apply it to their reservations. If we guess the dining window accurately, we are all set. If we miss by a day or two we just make a few minor adjustments. If we totally miss then we can go back to the drawing board and are no worse off than if you waited until the announcement to book. As a reminter, there is absolutely no charge or fee for my services. I have the same prices and discounts that you find on Disneyworld.com, and I have to abide by all of their booking rules. Just like booking with Disney there is a $200 deposit required to hold your package and that is FULLY REFUNDABLE AND CHANGEABLE until your final payment date 45 days prior to check in. That means that if your trip is dependent upon a free dining announcement that never comes, you can cancel your reservation and have your deposit fully refunded as long as you do so 45 days prior to travel. Once we get you booked, we need to wait until about 6.5 months before you travel for the crowd estimates park hours to come out. Once it does, we can use that information to map out a plan. Crowds can fluctuate SIGNIFICANTLY at that time of year, particularly at Magic Kingdom. So we make sure we make the most out of your time. Once we know which park you will be in each day we can plan your dining reservations around that. I will be happy to make your reservations for you or give you all of the information you need to handle it on your own. There are a lot of extra perks for using TMC Travel to book. First of all we offer worry free booking. If a discount comes out after you book, we automatically apply it to your reservation. You do not have to keep up with the latest and call to ask me to apply it to your reservation...I just "handle it". If another discount comes out, I crunch the numbers and make sure we have your family on the best possible discount. I have changed discounts 3 times for some families to insure they have the best deal! Other perks include a free gift for everyone in your travel party, a referral program ($20 gift card for anyone that is not traveling with you that books with me), tip cards to keep you organized, and finally I can help with last minute questions you may have. This week looks to be a busy one! As hotly rumored on the internet, Free Dining is back for fall. If you are a Disney Visa holder...Congratulations! You can start booking your trip today. If you are not a card holder then your booking window is set to open on Thursday. As long as you check in during free dining, you will have it for the duration of your stay. There is a minimum of a 3 night stay with a 2 day ticket, and a maximum stay of 14 days. You must book by 9/29, pending limited availability. Little Mermaid rooms at the Art of Animation resort are excluded from the offer. The guests at value resorts will get the quick service plan free, but can upgrade to plus dining for just the cost difference between the two plans. Guests staying a moderate resorts, deluxe resorts, and deluxe villas will get the plus dining plan free. 2013 Vacation Packages will be released on Wednesday. If you have been waiting to book next year's vacation, it is almost "go time"! 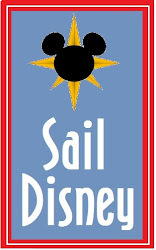 As a reminder, I am a no-fee travel agent specializing in Disney. 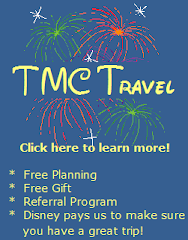 I would love to help you plan your free dining Disney extravaganza, your 2013 trip, or anything in between. There is no additional cost for my services, and I offer free gifts for everyone in your travel party with a 4 or more day package. Please feel free to contact me at ginger@tmctravelonline.com .